"The main principle is that there should be enough draft to light the fire rapidly. The lighting cone provides this if it is about 500mm tall." "The second principle is that the bottom of the cone should sort of cover the lighting fuels so that most air is pulled from below, not from the side." "The third principle is that if there is a secondary air supply at of just below the top of the fuel, the bottom of the cone should bypass it so that the heat inside the cone is not used to pull air through the secondary air ports. Very few stoves have a secondary air controller." In the result with good fit: "You can just see on the left that it bypasses the secondary and draws all air from below, through the fuel – in this case charcoal. Peter Coughlin reports it reduces the charcoal ignition time by more than ½. We will quantify the smoke reduction and GERES way independently confirm it at some point – it is about 90%." 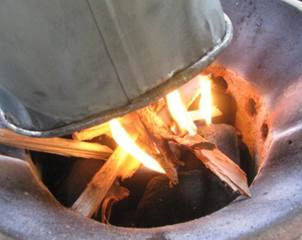 Lighting stoves can also be used with traditional fires. 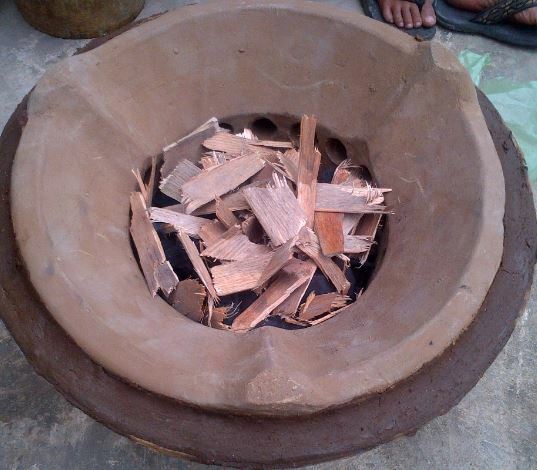 In tests lighting damp wood in Suba Island "The speed of ignition and reduction in smoke was dramatic. You can just see the hot air distortion of the picture above the cone – basically no smoke. It is quite a bit cleaner than the fire when lit and the cone removed." The Stove in the top example is an Anglo Supra Nova. 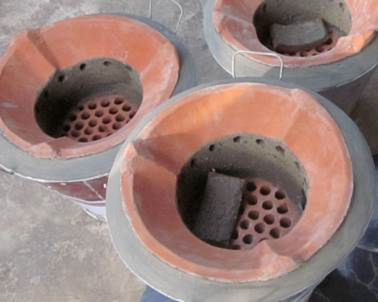 "It was developed at YDD during the World Bank/Indonesian Clean Stove Initiative." "It as an Anglo Supra with preheated secondary air. It can burn wood or charcoal, and it can burn wood pellets in TLUD mode. 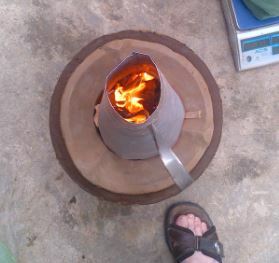 It can automatically switch from pellet burning TLUD pyrolyser mode to char-burning mode by using a disc of paper on top of the grate." "The loose piece of clay is a door which can close the primary air without affect the secondary air. It provides a significant level of power control without adding or removing fuel. 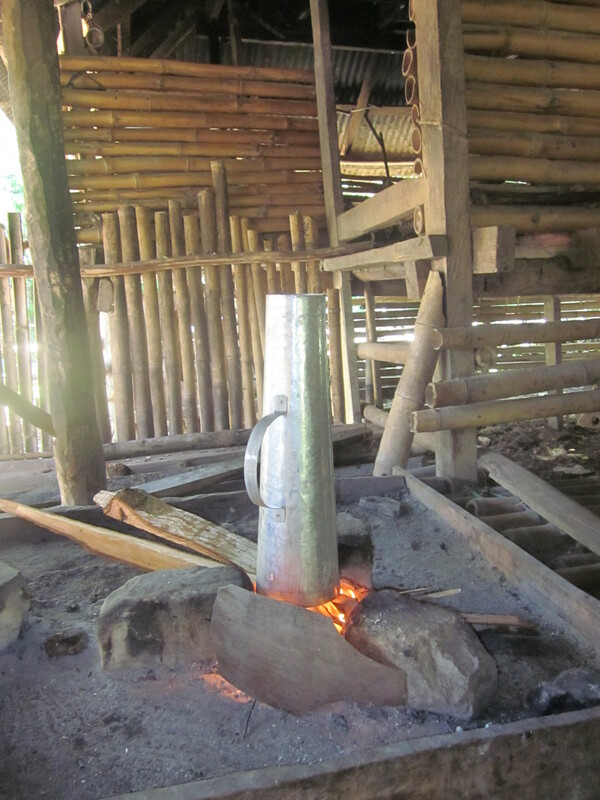 The heat transfer efficiency burning charcoal (it is nominally a charcoal stove) is about 50%. It Is portable with handles and sells retail for about $5.50."